Can you discover the object of your quest and then complete it? 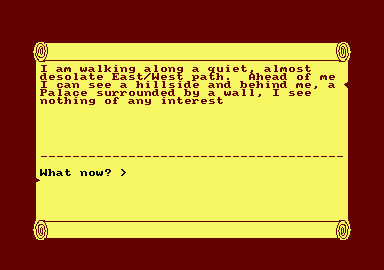 A classic text only adventure, with dozens of problems to keep you perplexed for weeks. Features include save game facility and very large vocabulary. 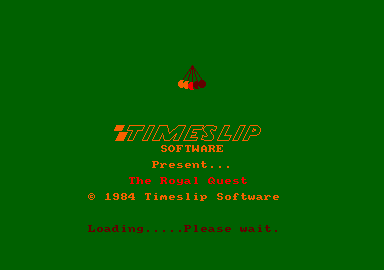 » Topic: Cheats, pokes ou solution pour "The Royal Quest"